Jakarta Maritime, Agriculture and Food Security Dept. acknowledged that the commodity of fruit and vegetables in Kramat Jati Market, East Jakarta was safe for public consumption.
" commodities of fruit and vegetables sold by the Kramat Jati Market is safe to consume"
According to Darjamuni, Head of Jakarta Maritime, Agriculture and Food Security Dept., this consumption-worthy warrant was issued after his dept. monitored fresh agricultural products at the site, today. 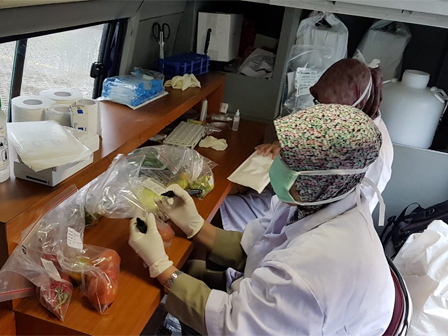 "From the laboratory test on the spot, commodities of fruit and vegetables sold by the Kramat Jati Market is safe to consume," he expressed, Monday (6/25). The test itself took 39 samples of fruit and vegetables. The fresh fruit commodities tested were 12 samples of grapes, oranges, melons, watermelons and starfruit. While for vegetable commodity, there were 27 samples tested, such as red curly chili, red pepper, green onion, spinach, cabbage, cucumber, tomato and cabbage. "As a result, they are safe from harmful content, like formalin and pesticide," he uttered.